You've heard that voice before - the warm, friendly sound that has made Dennis Elsas one of New York's most popular radio personalities. With creative musical programming and insightful artist interviews, he continues in that tradition every weekday afternoon on WFUV (2-6PM). Dennis spent over twenty-five years at WNEW-FM when the station was known as the place "Where Rock Lives." As music director and on-air host he helped to shape the station's legacy as one of the country's most influential progressive radio stations. It gave him the opportunity to meet and interview many of his rock heroes, including Pete Townshend, Mick Jagger, Paul McCartney, and John Lennon. His 1974 interview with Lennon has achieved legendary status among Beatle fans and rock historians, and was one of the first contemporary radio shows to be included in the permanent collection of the Paley Center for Media (formerly the Museum of Televison and Radio). It has been excerpted for use in the Beatles Anthology, numerous books and most recently the PBS award-winning film Lennon NYC. His life long passion for the Beatles inspired Dennis to produce, co-write and host the radio documentary, It Was Forty Years Ago Today: The Beatles Invade America. The special won a number of prestigious awards, including the New York State Broadcasters Association Best Documentary and the New York Festivals World Medal. It originally aired on WFUV in February 2004, was revised for the fiftieth anniversary in 2014, and is now featured in the Grammy Museum's traveling exhibit, Ladies and Gentlemen...The Beatles. You can count on hearing more of that passion during Dennis' Beatles Fab Foursome feature every Friday afternoon on FUV. 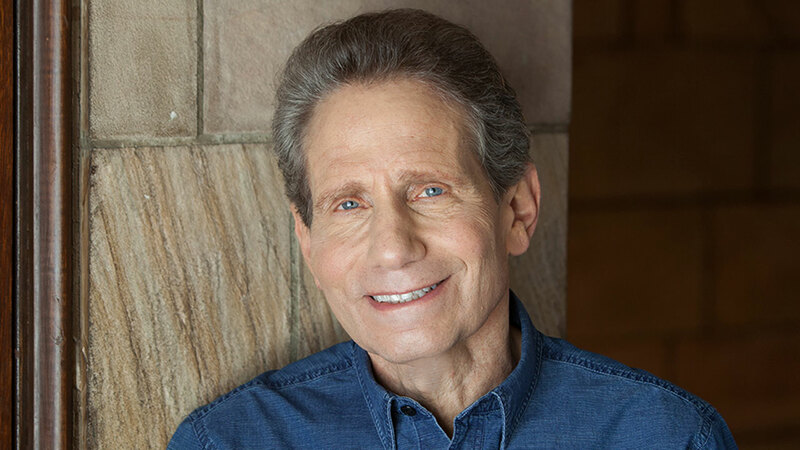 As a leading voice-over announcer, Dennis has been heard in assorted narrations, commercials and promos. He's the "Voice of Rock History" at the Museum at Bethel Woods (the story of the Sixties and Woodstock) and is featured at Cleveland's Rock and Roll Hall of Fame and Museum in their exhibit of America's Most Influential Disc Jockeys. In 2010 Dennis created the live multi-media show Rock 'N' Roll Never Forgets, featuring audio and video highlights from his history making interviews that has played to enthusiastic audiences throughout the tri-state area. Though proud of his past accomplishments, Dennis is clear about what he's focused on today. "The most exciting thing about being on the air at WFUV is the freedom to discover new music and share it with an appreciative audience. Plus there's a great atmosphere here that encourages so many opportunities for memorable interviews and performances in Studio A. The challenge of blending old and new favorites -- the quest for the perfect segue never ends." Queens native and Westchester resident, Dennis is married and enjoys spending time with his ever-growing family living nearby.